Homelands is the story of Mexican immigration to the United States over the last three decades. 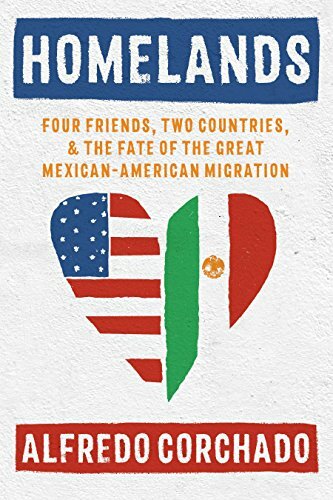 Written by Alfredo Corchado, one of the most prominent Mexican American journalists, it’s told from the perspective of four friends who first meet in a Mexican restaurant in Philadelphia in 1987. One was a radical activist, another a restaurant/tequila entrepreneur, the third a lawyer/politician, and the fourth, Alfredo, a hungry young reporter for the Wall Street Journal. Over the course of thirty years, the four friends continued to meet, coming together to share stories of the turning points in their lives-the death of parents, the births of children, professional milestones, stories from their families north and south of the border. Using the lens of this intimate narrative of friendship, the book chronicles one of modern America’s most profound transformations-during which Mexican Americans swelled to become our largest single minority, changing the color, economy, and culture of America itself. 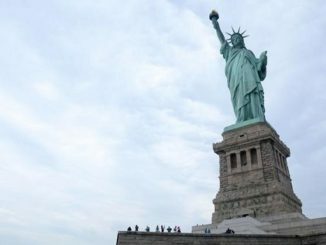 In 1970, the Mexican population was just 700,000 people, but despite the recent decline in Mexican immigration to the United States, the Mexican American population has now passed three million-a result of high birth rates here in the United States. In the wake of the nativist sentiment unleased in the recent election, Homelands will be a must-read for policy makers, activists, Mexican Americas, and all those wishing to truly understand the background of our ongoing immigration debate.